Give Dad the dinner he deserves this Father's Day with our guaranteed-to-please menu. They say that food is the way to a man’s heart and this Father’s Day we’re on board with that sentiment. Spoil your dad rotten this year with a slap-up meal made using recipes from some of the UK’s best chefs and delicious, seasonal ingredients. Raise your game for 2017 by serving up a proper three-course Father’s Day feast (plus a sophisticated cocktail to fulfil the necessary booze requirement). Given that no two dads are the same, we’ve pulled together our suggestions for the ultimate Father’s Day dinner, including something for the meat-lover, the fish fanatic and the vegetarian. Make sure Dad knows just how much you appreciate him and share a showstopping meal with the man who put up with all those toddler tantrums and troublesome teenage years. 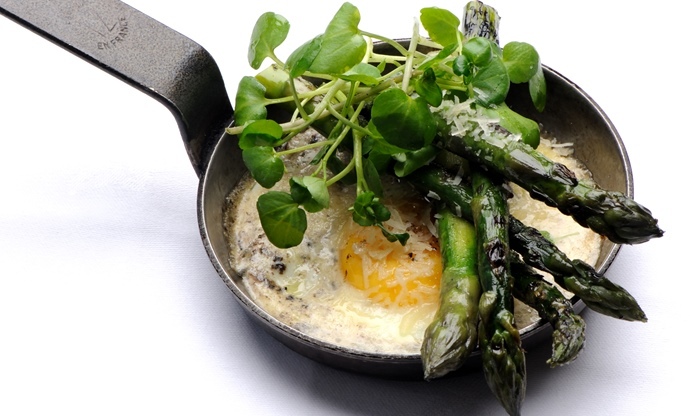 Spiked with earthy truffle and topped with the ultimate spring vegetable, asparagus, Josh Eggleton’s eggy starter could work equally well served as a luxurious breakfast in bed. The rich yolk of a duck egg combined with decadent black truffle and verdant asparagus is sure to impress. 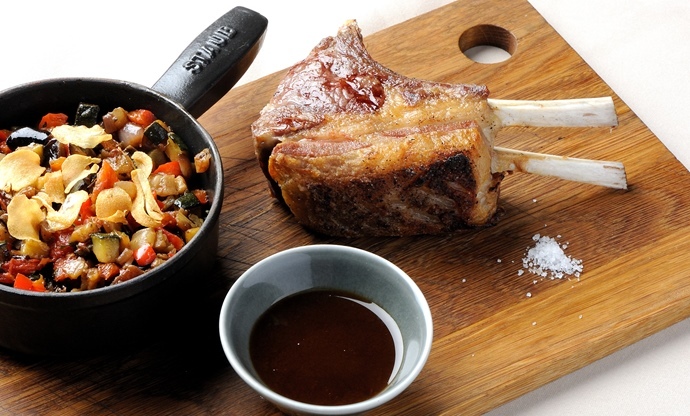 Set the tone for your Father’s Day feast with this simple yet sumptuous starter. 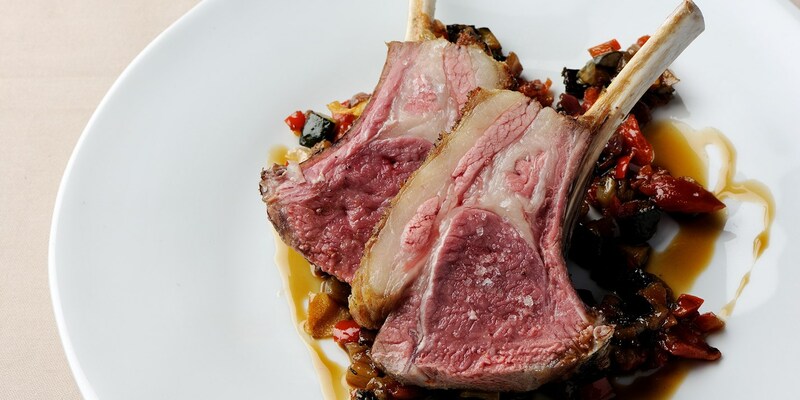 If asparagus is the vegetable of spring, then lamb is undoubtedly the meat of the season and Pascal Aussignac’s stunningly simple recipe is sure to get mouths watering around the dinner table. The golden, crisp fat around the rack of lamb makes this dish sing and the results will be equally delicious whether you cook your rack of lamb in the oven or, if the weather’s good, on the barbecue. Pair the sweet lamb with a Provençal classic of ratatouille as Pascal suggests, and your dad will certainly feel celebrated. Does Dad prefer fish? 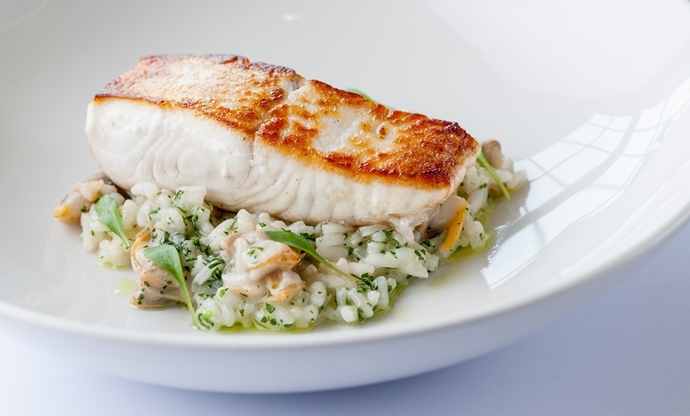 Don’t worry – Dominic Chapman’s halibut looks sublime and tastes even better. Push the boat out and invest in the best quality fish you can afford before pan-roasting it to golden perfection and sitting it atop a creamy cockle risotto. Put this in front of your old man, and you’ll be in his good books for the rest of the year. Steak and pork chops tend to be the stereotypical ‘dad’ dishes churned out year after year, but what if he’s a veggie? 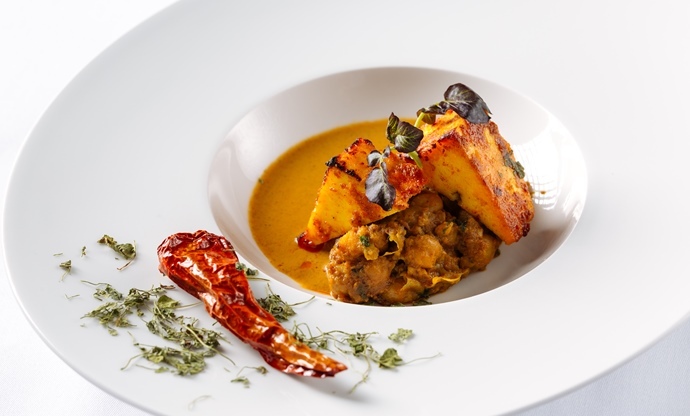 Michelin-starred chef Atul Kotchhar has the answer, with his paneer rogan josh – an absolute spice sensation. The UK is curry-mad and Father’s Day is the perfect opportunity to give this aromatic favourite the fine dining treatment. The recipe even includes a method for making paneer from scratch, which is surprisingly simple and should score you major brownie points, dad-wise. Round off your Father’s Day dinner with a slice of this decadent baked white chocolate cheesecake served with a wonderfully tangy grapefruit gel. Practicalities might not be at the front of your mind but this make-ahead pud will make the whole day much more relaxed. 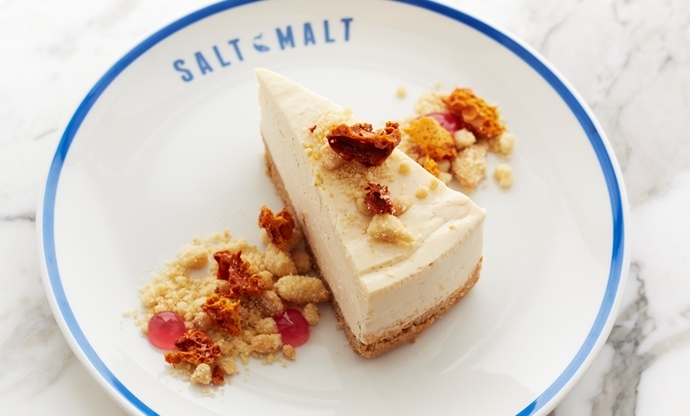 Serve the cheesecake with a homemade shortbread crumble and crunchy honeycomb to send your dad to dessert heaven. What is a celebratory meal without a carefully chosen tipple? 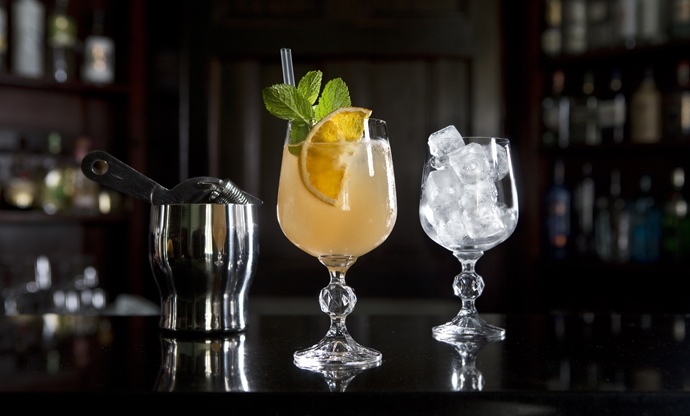 Vivek Singh’s rum-based cocktail is refreshingly fruity yet not too sweet and showcases the exotic flavour of guava. Shaken over ice and tempered by slightly bitter gentian liqueur, the Halcyon Sunrise is the perfect treat for your wonderful dad.